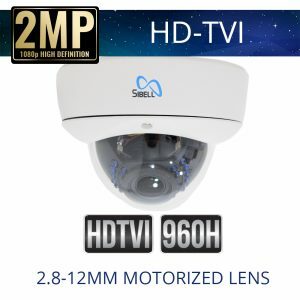 Sibell Vari-focal lens security cameras HDOC offer and adjustable focal length for application and diversity in High Definition Over coaxial cable situations. Vari-focal lens security cameras allow the installer to adjust the field of view (FoV) to capture the optimal view for the end user. 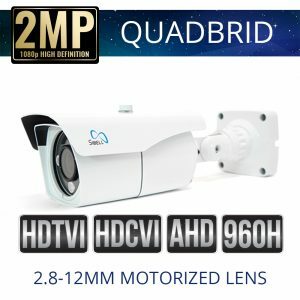 Sibell Vari-focal Lens Security Cameras come in manual and Motorized zoom options and come in a variety of camera styles to choose from.